Planning a large corporate function for your company can be a huge challenge. 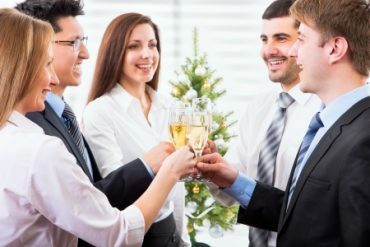 Outside of thinking about what corporate executives want you to do for the event, you also need to keep your fellow employees in mind and come up with something that will make the day enjoyable for them. Take the stress out of planning your corporate party by working with Total Entertainment! We specialize in offering corporate party rentals to companies in the Boston area, and we know that we can make your next corporate event a success. We have helped companies with corporate party rentals for years, and we can work with you from the very start of your planning right up through the day of the party. Our corporate event rentals will make life easier on you, and you will quickly see why so many others have trusted us for our corporate party event rentals in Boston. When you meet with Total Entertainment for the first time about your corporate event, we will begin by asking what kinds of activities your company might enjoy. Our goal is to create a theme that works for you and then to implement that theme so that everyone has a great time. We know that our corporate event rentals will make everyone in attendance at your party happy. You can try to plan a corporate event without the use of corporate party rentals, but why would you want to? You will spend a lot of time, energy and money on it, and you won’t even be able to enjoy yourself during the festivities. Total Entertainment’s corporate party rentals in Boston will be well worth the cost associated with your event, and you will find that your bosses will be quite pleased with the event you put together with our help. If it’s time to start planning a corporate party now, call Total Entertainment at 978-777-2050 and get things off to a great start.